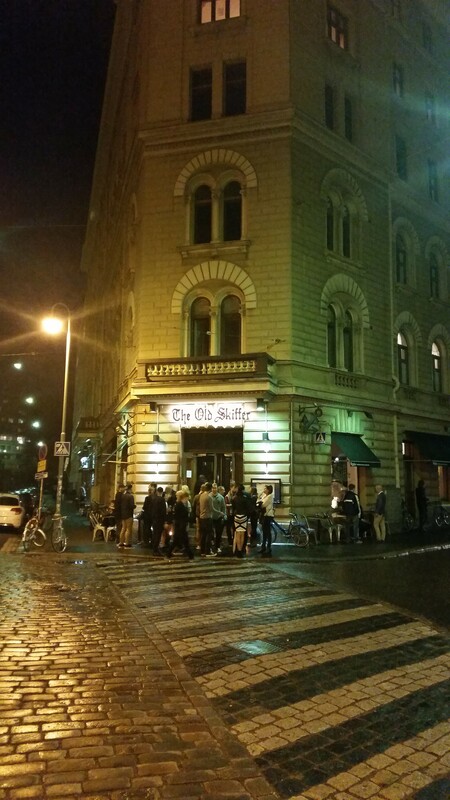 There’s a new bar in Punavuori in the corner of Pursimiehenkatu and Laivurinkatu. Or I’m not sure if you can call it new. 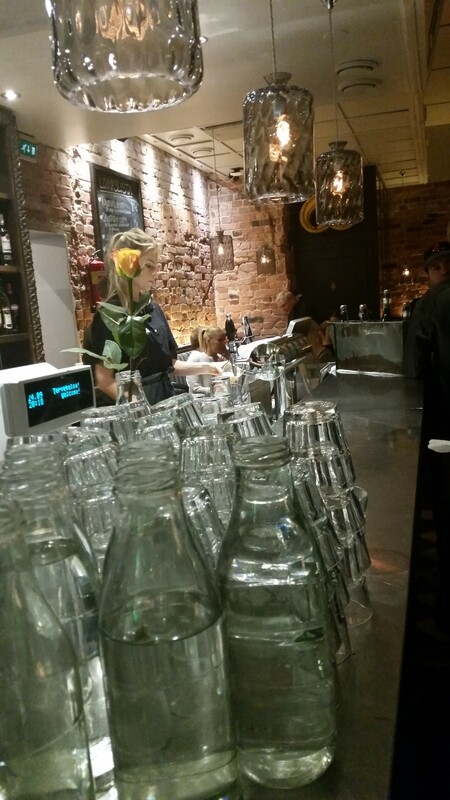 According to Primula’s history there’s been a bar at the same corner in Viiskulma from 1960’s and a café even longer from 1924. 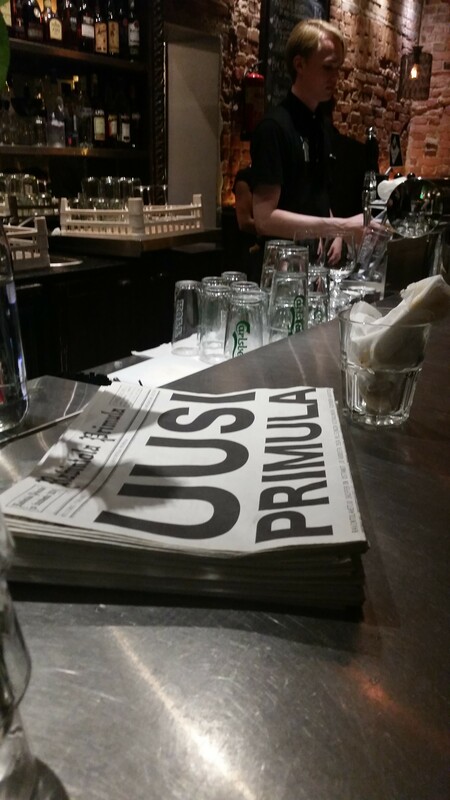 What’s new are the new owners who bought the legendary Restaurant Primula last summer and reopened it a couple of weeks ago under the name Uusi Primula (New Primula) and the Old Skiffer. The bar’s name is kind of a word game: the bar used to be called The Old Skipper’s and Skiffer also refers to the island Liuskasaari (Skifferholmen in Swedish) where the first Skiffer Restaurant was opened some years ago. But that’s enough about the history! To celebrate the new beginning, Primula / The Old Skiffer had their official opening yesterday evening. The restaurant is pretty easygoing with stylishly laid-back atmosphere and contemporary bistro food. 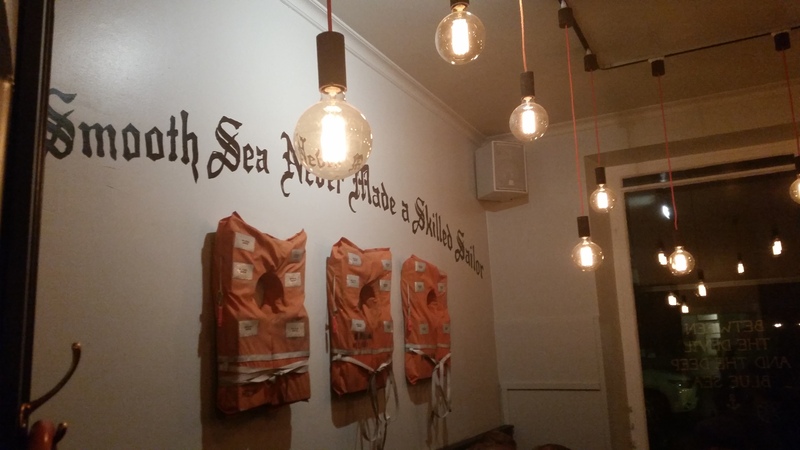 The interior design has maritime elements such as an old rowing boat in the ceiling and life jackets on the wall – not too much but just enough to make the bar interesting and more unique and different from the old bar and restaurant. The bar was crowded yesterday evening so I just had quick drinks before heading home. I still need to try out the food and pizzas or liuska flatbread some other day. I think the bar will attract creative crowd (since it’s situated close to many advertising agencies), trendy Punavuori clientele as well as the locals who have been coming there for years no matter who the owner is. Great local and a good addition to Viiskulma bars and restaurants!